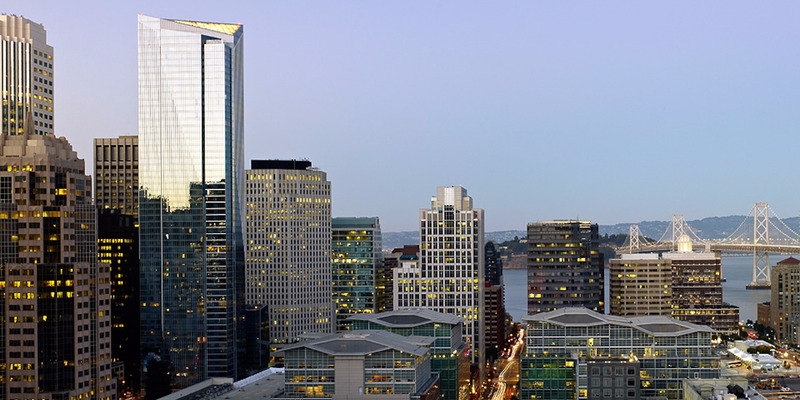 Vanguard PropertiesMillennium Tower (left) rises 58 stories above San Francisco’s Financial District. 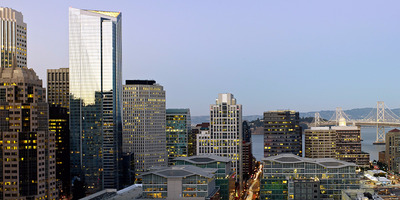 Millennium Tower, a luxury residential building in San Francisco, has sunk 17 inches and tilted 14 inches since it was completed in 2008. Residents say they’re selling multimillion-dollar condos at a loss. A two-bedroom, three-bath unit at Millennium Tower sold in December 2017 for 30% less than what it sold for in 2013. The well-heeled residents of San Francisco’s leaning, sinking skyscraper are scrambling to sell their condos, taking losses of millions of dollars. A two-bedroom, three-bathroom unit at Millennium Tower sold earlier this month for $US2.99 million, but sold for $US4.25 million in 2013. The new owners, Rohita and Vijay Caveripakkam, both work in tech. Vijay is the founder and CEO of InFor500, a small cloud-computing company based in Silicon Valley. Millennium Tower is a luxury residential high-rise that has sunk 17 inches and tilted 14 inches since it was completed in 2008. Though an inspection by the city showed it’s safe to occupy, the situation has sparked an exodus from the building. The unit that most recently closed at Millennium Tower previously belonged to Robert Darby, Jr., president of Berkshire Hathaway Homestate Companies, according to property records. Carlisle estimated that the 1,664-square-foot condo would sell for between $US5 million and $US6 million, “if it was in any other building,” he told the Business Times. Home prices elsewhere in San Francisco continue to soar. 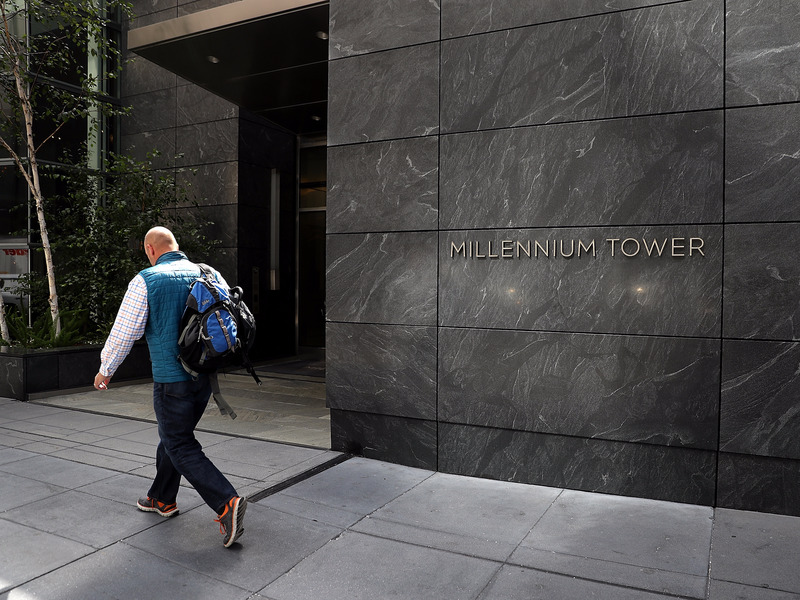 Justin Sullivan/GettyA person walks by the Millennium Tower in San Francisco, California. A year ago, a penthouse unit at Millennium Tower, previously owned by late venture capitalist Tom Perkins, sold for $US13 million. Perkins bought the two-bedroom condo unfinished for $US9.4 million and spent $US9 million on renovations, which should have bumped it sales price higher. In May, a second penthouse apartment sold for 29% less than what it sold for two years ago, the Business Times reported. The seller shaved 36% off the asking price. The situation at Millennium Tower is likely to get worse before it gets better. Engineers have estimated the building will continue to sink at a rate of about one-inch per year. There may be a fix in the works. A pair of engineering firms hired by developer Millennium Partners and other parties have recommended drilling 50 to 100 new piles (a type of foundation in the shape of a pillar) 200 feet down to bedrock from the building’s basement.